Valentines and sweets are coming? But do you know the danger it poses to your pet? With Valentine’s Day rapidly approaching (hint, hint fellas ) we often hear about the dangers of dogs eating chocolate. 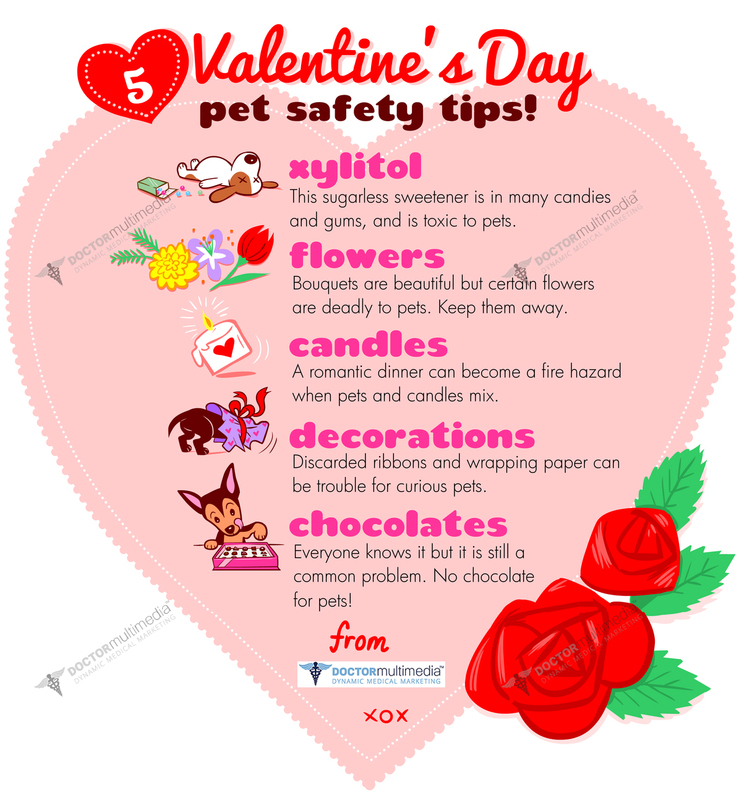 Chocolate is toxic when to our pets. The toxic effects of chocolate vary based on type of chocolate. The darker the chocolate the higher the toxic compound. However, one common sweetener we do not always talk about it is Xylitol. Xylitol is INCREDIBLY toxic to our pets and can cause hypoglycemia (low blood sugar), pancreatitis, and even severe liver disease. Even more alarming is xylitol is found in dozens of house-hold items. Xylitol is found in gum, tooth paste, mouthwash, many sugar free candies, fruit drinks, some peanut butters, and some jellies, and jams. Please check all labels before offering anything to your pet. The concentration of xylitol varies from product to product. We will use sugar free gum as an example. Most sugar free gums contain 170 mg of xylitol per stick of gum, and the toxic dose of xylitol is approximately 0.1 mg/kg. This means that if a 20 pound dog were to eat 4-5 pieces of gum the consequence could be devastating! My dog ate my Trident now what?! Call your veterinarian immediately! Another option is to call the ASPCA Poison Control @ (888) 426-4435.